76% of Suppliers Don't Understand the Code. Do You? 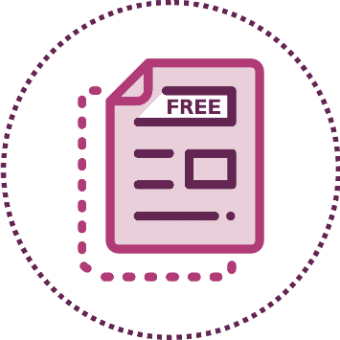 If you work in the world of supermarkets, suppliers, groceries, or FMCG, in the UK, you’ll be aware of something called ‘GSCOP’ or heard of ‘GSCOP’ rules, or ‘GSCOP regulations’. This stands for ‘Groceries Supply Code of Practice’. The GSCOP Code of Practice was implemented by the UK Government to encourage major UK supermarkets to treat suppliers fairly. Like guidance or set of rules. Training of supermarket buyers is a legal requirement. 76% of suppliers do not understand the Code (Source: GCA Annual Survey 2015). Iceland has the worst compliance code record. Listed on the government’s training provider directory. 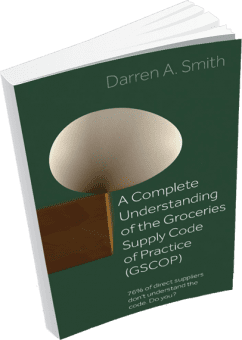 “Whilst I already have a good understanding of the Groceries Supply Code of Practice, this book re-affirmed what I knew, but more importantly brought to the forefront of my mind some of the peripheral parts of the code I’d overlooked. It is easy to understand and breaks the topic down into manageable work areas. Moreover, the book provided some of the more junior members of the team, who were less conversant with this subject, a good introduction on how the code can help them in practice.”, by Chris White, Account Director at Karro Food Group. “A comprehensive treatment of the issue and a must-read book for account managers handling the major supermarket multiples. Written by someone who has actually worked in the industry, Darren’s book gives some practical insights for suppliers on the Code and how it needs to form part of the decision-making process when dealing with the supermarkets.”, by Mark Craft, Editor at EMR-NAMNEWS. “I believe it is essential that every commercial manager has an awareness and understanding of Groceries Supply Code of Practice. This is the playing field by which our retail customers now operate, you need to understand the rules to be able to compete and grow. Ignorance is no excuse, the market has moved on.”, by Alan Chapman, Acting Managing Director, Walkers Sausage Co. There is Groceries Supply Code of Practice training available. At MBM we prefer to save you £500 and a day of training by offering you a book. A strange statement coming from a training provider. It is because we believe in the importance of this legislation and that you can achieve your goals by reading a book, which you can reference back to, rather than a training course, where you are learning a skill. Our recommendation is to buy the book and then combine that knowledge with influencing skills and/or negotiation skills to be most effective. 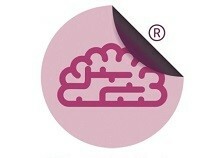 To learn a skill please see our range of products. Take Our Quiz to See How Well You Know the Code! Test your Knowledge and Start the Quiz Here. The GSCOP Aware Association has been formed with one mission – To be the mark for Suppliers to demonstrate that they are Aware. New members must pass an online assessment to join. We envisage two-thirds will fail. Raise awareness for you and 11 others by discussing this topic with the Author at a GSCOP Masterclass. Each attendee gets a free copy of the book. When dealing with legal documents, a potentially complex legal process, and high stakes, we advise that you seek legal counsel. Our partners at Wragge Lawrence Graham & Co (Gowling WLG from mid-January 2016) can help. Contact David Lowe – Their expert, from a legal perspective, who is very experienced in advising suppliers on the Groceries Supply Code of Practice. David is offering a free 20-minute telephone/email consultation when you mention this book. Supply Chain Online is the UK’s leading Supply Chain, Procurement and Logistics job board. Now in its 10th year, Supply Chain Online provides targeted recruitment advertising to the UK’s leading employers. Collaborating with some friends in the UK Grocery Industry on writing this book, they wanted a chapter on the ‘good bits’. The challenge with the Order and the Code is that the devil is in the detail. 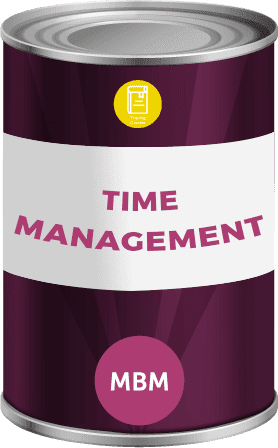 This chapter is for those people that just want to know the ‘good bits’ because as I have been told many times by Sales Directors and Account Managers, ‘We have the attention span of a gnat’. The risk is that the devil is in the detail and these are the rules of the game you play. It’s ok not knowing the detail of the offside rule, unless you are a footballer! I urge you to read this chapter and then other chapters to understand the detail. • Ensure the terms of supply are recorded in writing. • Provide the Supplier with a notice setting out its GSCOP obligations, including the identity of the senior buyer. • Deal fairly and lawfully, applying good faith, without duress and recognising the Supplier’s need for certainty. • Not making supply arrangements retrospective, unless in accordance with specific detailed arrangements in the Supply Agreement. • Give reasonable notice to vary Supply Agreements or to make significant changes to supply chain procedures. • No delay in making payment. • Not require payment to marketing costs, unless specifically stated in the Supply Agreement. • Not require payment for shrinkage. • Not require payment for wastage, unless as stated in the Supply Agreement. • Not require payment of a listing fee, except in relation to a promotion or for new products. • Compensate the Supplier for the designated Supermarket’s forecasting errors, except as expressly stated in the Supply Agreement, or where the supermarket acted with due care and good faith. • Not insist the Supplier obtains goods, services or property from a third party unless cheaper than the Supplier’s source. • Not require payment for better positioning of goods unless in relation to promotions. • Not require the Supplier to predominantly fund a promotion. Reasonable notice must be given to the Supplier of a proposed promotion to which the Supplier will contribute. The Supermarket must take due care not to over-order a promotion. • Not require payment for resolving consumer complaints unless due to Supplier’s breach and certain other controls. • Only de-list the Supplier with reasonable notice and for genuine commercial reasons. • All of this is supported by obligations on the designated Supermarket to train staff, appoint an in-house compliance officer, and to issue an annual report (a summary of which needs to be included in the designated Supermarket’s annual company report). For many of the statements above exceptions apply, as with any piece of legal writing. It is essential that you understand the exceptions. Please go to the contents and choose the next chapter to read. Do you know which Supermarkets are covered by the Code? Do you know if your products are included within the Code? Do you know which Supermarkets are most compliant? 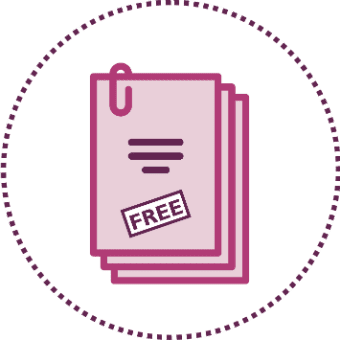 How do I use The Groceries Supply Code of Practice (GSCOP)? you want a practical guide. Here it is! You should have a Supply Agreement in writing and a copy of the Supermarket’s terms and conditions because then you know what is agreed and is not agreed. A Supermarket can no longer ask you for payments for what has happened retrospectively, e.g. funding a promotion that has already started. Action: Respectfully request, or propose, a Supply Agreement. 56% of suppliers have a written Supply Agreement and it is a legal requirement for the Supermarket to have this with you. You will struggle to work with the Code if you do not have a written Supply Agreement. The Supermarket can no longer significantly change any part of the supply chain that affects you without giving you reasonable notice, e.g. asking for an additional delivery day in the week or delivering twice a day to start next week. before you reply to the Supermarket. the Supermarket must adhere to this to avoid breaching the Code. Action: Understand whether you are paid on time and discuss internally if this is an issue that you wish to raise with your Supermarket. refurbishments, or hospitality, unless these costs are written into the Supply Agreement. Action: Find out whether any member of your team is agreeing to these payments and then discuss internally whether you wish to raise this issue with the Supermarket. The Supermarket shall not require the Supplier to make payments for shrinkage or wastage, unless it is caused by Supplier negligence, or set out in the Supply Agreement. You cannot be asked to pay for listings, or a positioning on a shelf, or to gain more shelf space, unless it is in relation to a promotion. Another exception applies regarding a listing over time and percentage distribution. this issue with the Supermarket. The Supermarket must fully compensate the Supplier for any costs incurred through forecasting errors. Exceptions apply. issue with your Supermarket. In March 2016 the GCA published a best practice statement on Forecasting, which is worth reading. should improve their transparency of communications with Suppliers about forecasting. You do not need to obtain goods or services from a company appointed by a Supermarket where the Supermarket receives a payment. payments and then discuss internally whether you wish to raise this issue with the Supermarket. You should not be the predominant funder of a promotion. whether to raise the issue with your Supermarket. that are not resolved in-store, but the watchword is that the payment must be ‘reasonable’. Exceptions apply. You can only be delisted for genuine commercial reasons and reasonable notice must be provided with the reasons for the de-list in writing. Action: If this is likely for you understand the Code comprehensively for this section and read these guidance notes from the GCA (Link). The Code came into play almost 15 years ago, (not the GSCOP Code, but the first code of its type) has been strengthened to support Suppliers and an Adjudicator appointed. Are you aware of exactly what you can and cannot be asked for by major Supermarkets? To use the Code effectively, the knowledge of the Code needs to be successfully combined with powerful Negotiation Skills and Influencing Skills. What was the Tesco investigation by the GCA about? information relating to the profit statement announced by Tesco in September 2014. • Payments for better positioning of products on shelf. • The principle of fair dealing. Please stay abreast of the development on the Tesco investigation. If you connect with us on social media we’ll keep you informed. • Money owed to suppliers must be paid in accordance with the terms agreed Tesco must not make unilateral deductions – 30 days for suppliers to challenge proposed deduction. • Data input errors identified by suppliers must be resolved promptly – within 7 days. • Tesco must provide transparency and clarity in its dealings with suppliers. • Tesco finance teams and buyers must be trained in the investigation findings. 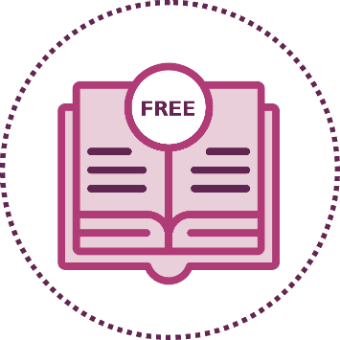 You can find further insight, detailed definitions and clarification of all the key GSCOP terms mentioned in this guide in our Glossary of Terms. Feel free to get in touch to find out how our GSCOP Masterclass with the author Darren A. Smith can help you. Simply fill out the form below, and we will be happy to get back to you with further information. 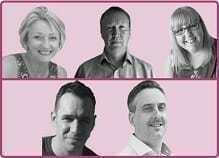 1/2 day Masterclasses for £750 for up to 12 people (£62.50 per person).